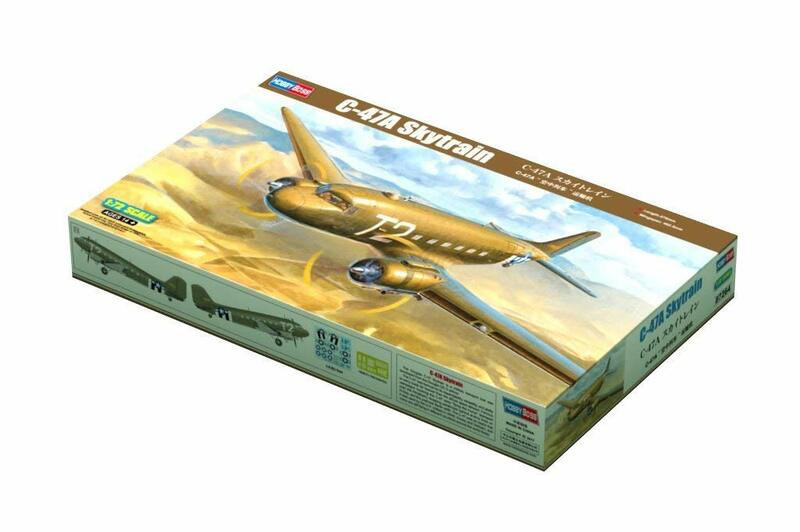 The Douglas C-47 Skytrain is a military transport that was developed from the Douglas DC-3 airliner. 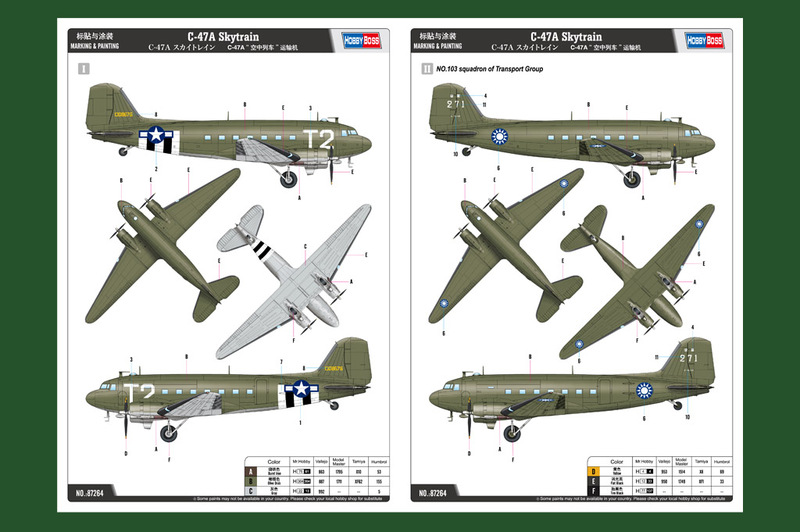 The C-47 was famous for its dependability, versatility, and ability to carry loads far heavier than the official specs allowed. 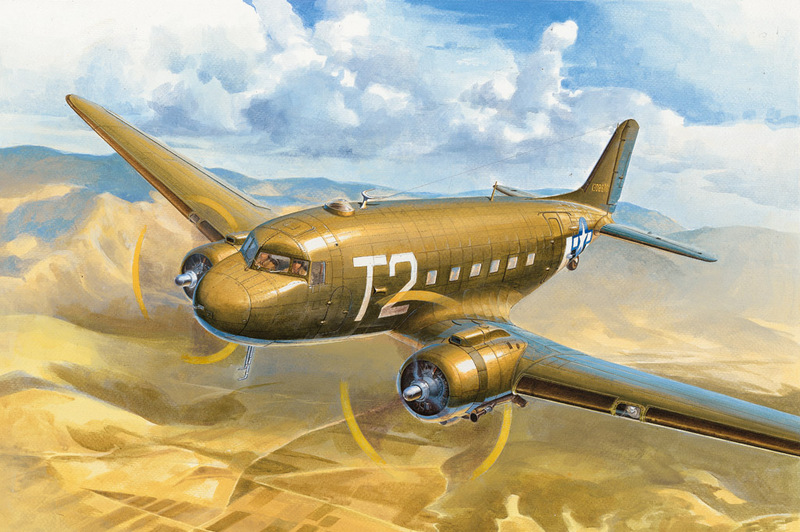 Famous campaigns involving the C-47 were "flying the Hump" (transport over the Himalyas), dropping paratroops behind enemy lines on D-Day, and the post-war Berlin airlift. 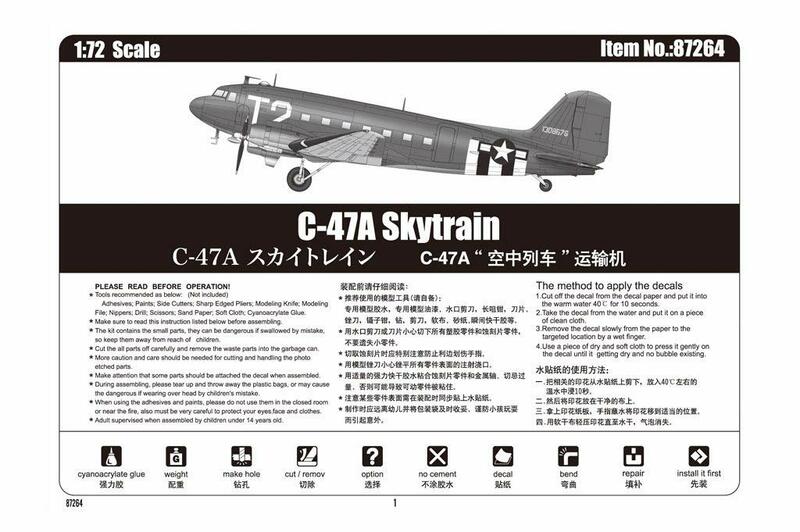 The C-47 was so useful that it was used by the U.S. military in WWII, Korea, and Vietnam, and many are still flying in different countries around the world today. 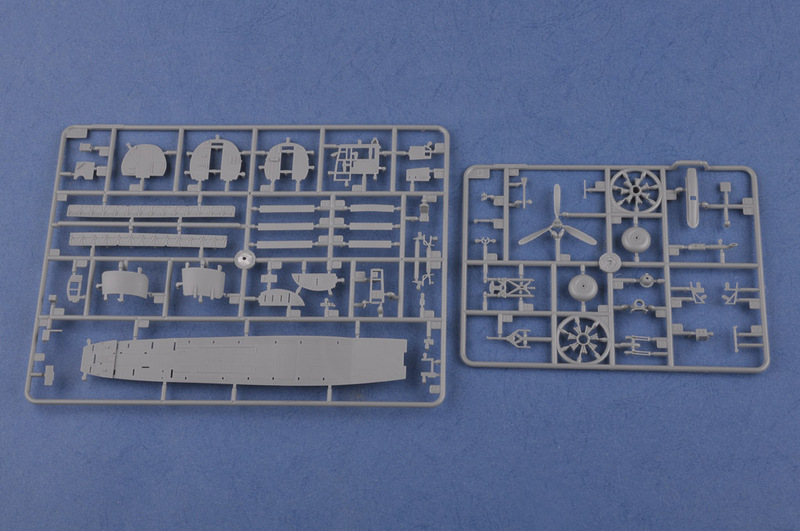 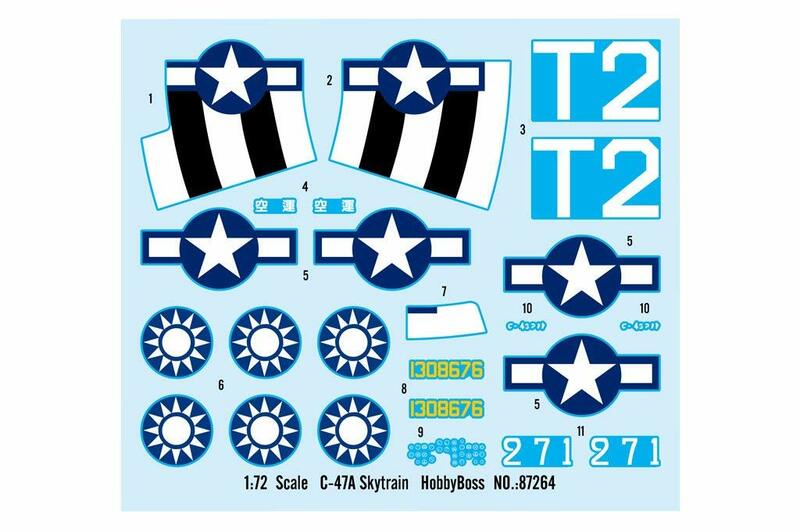 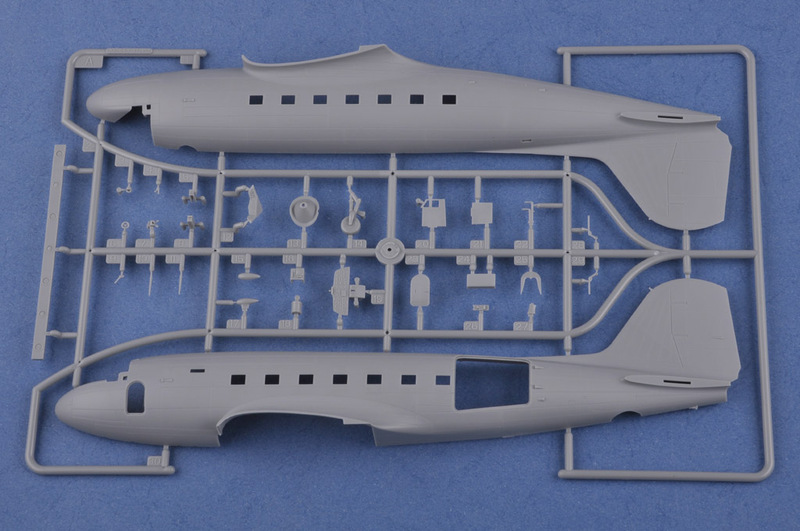 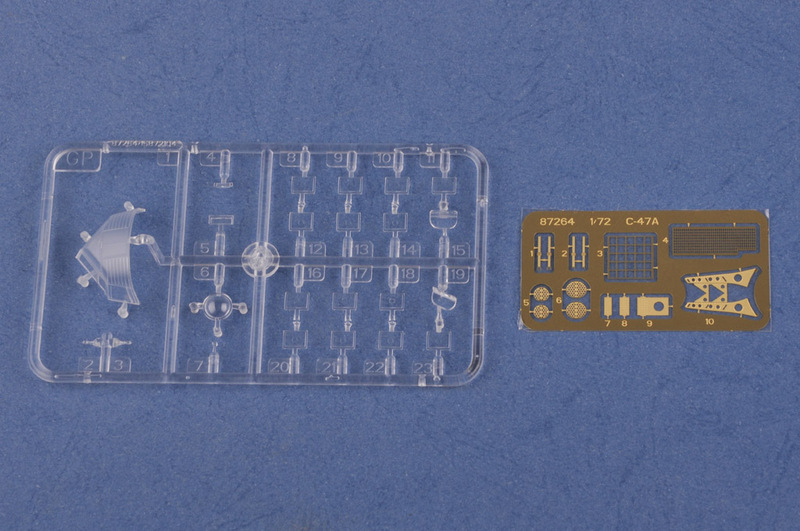 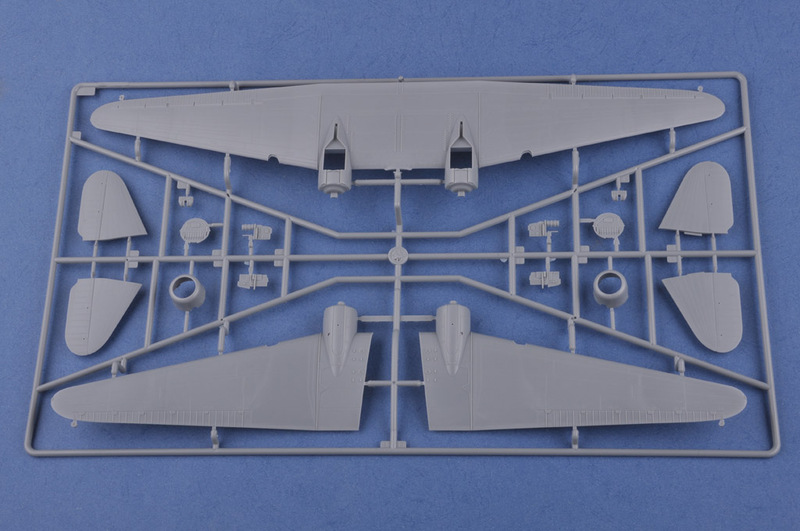 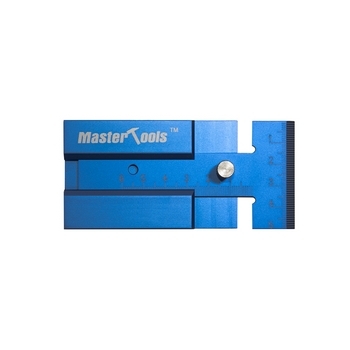 Features: The kit consists of over 150 parts , clear parts for windscreen & windows and photoetched spue for fine details.